Okay, that one requires a little backstory. Several years ago, I met the love of my life. There was an instant connection. You know the one - that spark, the one that lights up like a Fourth of July sparkler and sets off explosions and light and color in your head. Or, you know, whatever. We talked for hours and hours. It was tumultuous. It was surreal. It was magic. I knew my parents wouldn't approve. He wasn't, you know, some bad boy tattooed biker with a checkered past; he wouldn't be played by Danny Masterson in a 90's comedy. He didn't even own a leather jacket. But he wasn't "a good catch." He didn't "deserve me." He wasn't from our faith. He wasn't, technically, employed. And, if you'll believe it, he apparently wasn't from our class. That makes me sound like I grew up in a yacht club, but honestly, I had a totally normal middle class upbringing. But my parents fancied themselves "better than," and they weren't capable of seeing through all that superficial stuff that didn't matter to me. To be with the man I loved, I had to put my foot down. For the first time, I had to assert myself and tell my parents that I was an adult, and I was going to make my own decisions for my own life. We're happily married now, but at the time, it…didn't go great. 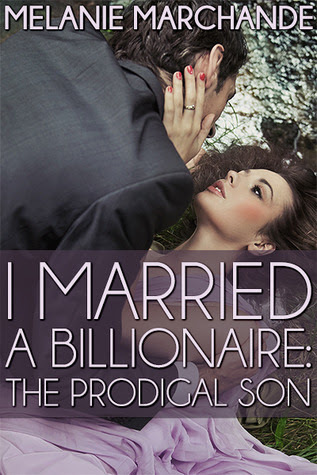 In my latest book, I Married a Billionaire: The Prodigal Son, I found myself working through some of my lingering feelings about that whole situation. In the first two books, my characters Maddy and Daniel learned to deal with each other, and then learned to deal with outside forces that tried to tear them apart. In this book, they learn to deal with their parents. Just like in real life, there are no easy answers. The relationship between a parent and their adult child is intensely complicated, and often slightly painful and off-kilter, especially when it comes to that whole "learning to let go" thing. When it comes to parents, oftentimes, there are no "happily ever afters," only "happy for nows." Sometimes, conflict is inevitable. But other times, it can be intensely comforting to share your troubles with someone who's known you since you couldn't even talk. As usual, it's all about making an effort to understand each other - and often, learning how to meet in the middle. Have you ever dated someone that your parents (or parent) didn't approve of? How did it go? Tell me about it in the comments! 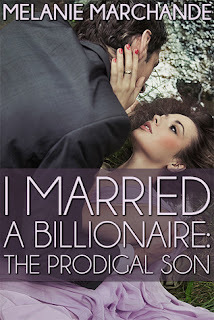 This book is a standalone followup to the Top 100 Nook and Kindle Store bestseller I Married a Billionaire and I Married a Billionaire: Lost & Found. Writing billionaire tech mogul Daniel Thorne's official biography is no small task. His wife Maddy isn't quite sure how it fell on her shoulders - but she's not exactly complaining. It's given her a rare opportunity to learn about the details of Daniel's life that he's never shared with her before. After a rocky beginning, their relationship has finally settled into something comforting and secure. After a while, Maddy begins to reconsider her once-staunch decision not to have children. Then, one night, a ghost from Daniel's past appears. His father, believed to be dead, has come back in hopes of repairing their relationship. Daniel is devastated by the years-long deception, and suspicious of his father's motives in reappearing after so much time. Old Mr. Thorne has his reasons for disappearing, but how can he possibly repair a relationship that's been so badly fractured by distance and lies? Meanwhile, Maddy gets some unexpected news of her own, and she realizes she must find a way to reach her husband and his father, to knit them all together into a family again. 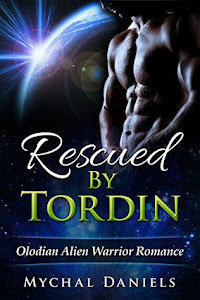 Melanie Marchande is part of Insatiable Reads Book Tours, where the hottest authors in romance debut their sizzling new reads! I like the conflict idea for the Prodigal Son (or is it father in this case?). Looks like a good read. Thanks for the great giveaway. Happy 4th to those of us who celebrate. My parents despised my husband and of course the more they objected, the tighter I held on. They were right and I kicked him out after a year. Yes, but it didn't end well. It did end though. 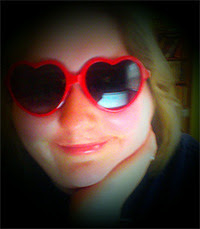 Kudos to you for following your heart! This sounds like a good book. Thank you for the amazing giveaway. Thank you for the invite and the giveaway chance. Love the conflict. It speaks to a lot of women that have experienced the same thing. Well not so much they didn't approve more that once we did get married they liked to interfere which caused us to divorce but I am happy to say we are now back together with or without their approval. I've always kept my parents as far away from my dating life as possible. Parents are hard to please sometimes. Thanks for the giveaway! 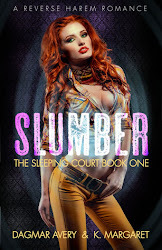 I was not sure about this title, but I am finding myself intrigued :) Thank you for sharing.